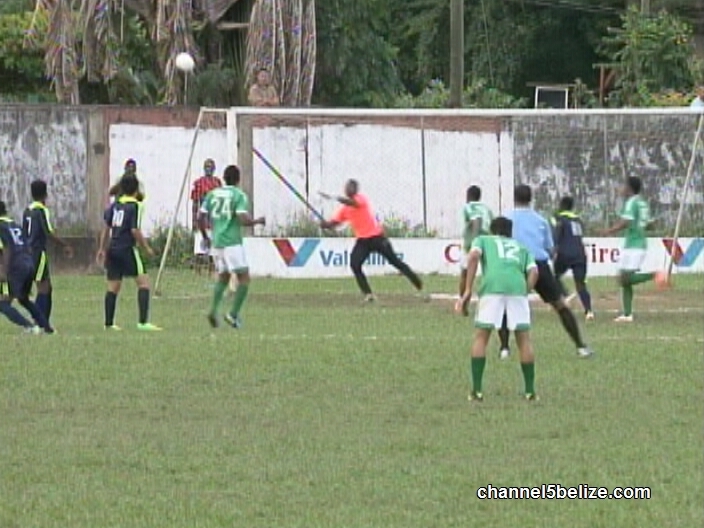 The final schedule of the PLB Football Competition found Verdes FC locked in a bitter struggle with the Belize Defense Force inside the Norman Broaster Stadium yesterday; bidding to remain the leader going into the post season. Indeed it could have been a perfect start for the host team when Rodney Pacheco looks for the near post off this set piece on top the 18 only to see the ball curve outside the target. 2 minutes later, Verdes gets this good look at goal and this time Victor Moralez sends the keeper over the crossbar. The B.D.F. finally gets some offense going when Vallan Symms uses this spot kick to pick out Stephen Martinez who powers the header over the horizontal unit of the goal. Jarret Davis then looks to increase his lead in the goal scoring column with this left foot attempt easily corralled by Tevin Gamboa. Meanwhile Marlon Molina could have, should have but failed to apply the power on this launch to beat the B.D.F. keeper. For the B.D.F. fans, hearts pounded when Vallan Symms punches this set piece that gets a deflection off the wall that could have opened the scoreboard. So we’re scoreless at intermission. Folks the B.D.F. fans scream foul when Victor Moralez applies necessary force to wrest this dangerous possession from Shane Flores, but universally a referee will rule this is a shoulder to shoulder clash. Jarret Davis then looks to take his team on his shoulders and does everything right until he offers a splice too far from the intended target. At the other end, the fortuitous bounce finds Carlton Thomas and the vote is unanimous—he should have done better. Talk about doing better this beautiful offensive move by Gilroy Thomas is only sullied by power instead of accuracy. Certainly was an exciting ballgame but neither team deserved the Win so they settled for a point apiece. 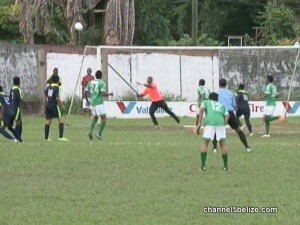 This suited Police United who leapt to the top of the standings with a 6- clubbing of San Ignacio United while Placencia saved face on its way out of the playoffs with a 6-2 bashing of Wagiya FC. 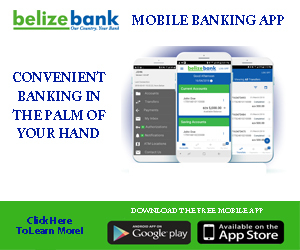 We’re not going to say anything about hapless FC Belize except that they assisted Belmopan Bandits into the playoffs by not showing up. Thus the standings that count looks like this: Police finishes with 18 pts, Verdes FC 17, bandits 16 and the B.D.F. 15. 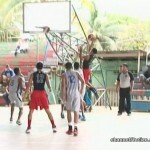 The playoffs which features a double round robin format finds Police facing the Belmopan bandits Saturday night at 7:30 at the Isidoro Beaton while Sunday inside the Norman Broaster. We say congratulations to Harrison “Kafu” Roches who emerged goleador with 8 goals edging out Jarret Davis who stalled at 7. 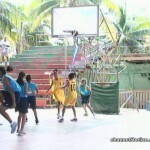 Turning to the basketball scene. 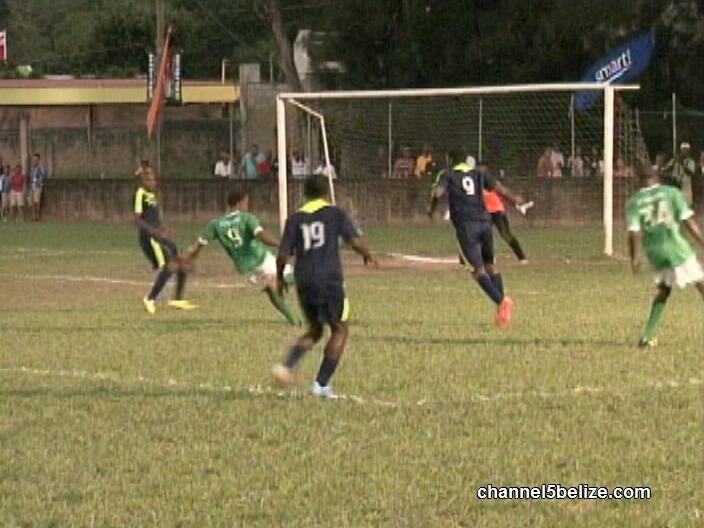 The National Secondary Schools Tournament took center stage at Bird’s Isle over the weekend. 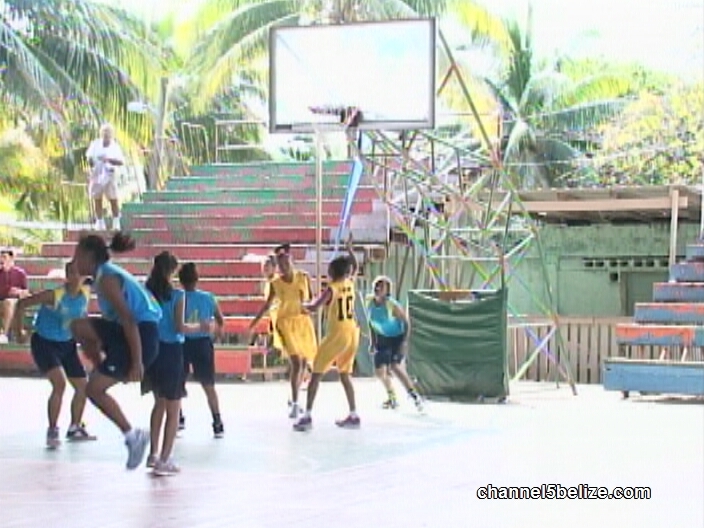 We’re in the finals with Muffles College giving St. Catherine Academy a run for its money when Julia Puerto, who scored 9pts, comes up with a crucial steal and finds Yazel Sutherland who deals to Zelita Catzim who strikes for 2 of her 7 pts. At the other end, Andreinae Samuels picks up the rebound off the miss by Indie Dixon to score 2 of her 6 pts for SCA. But Miss Dixon comes right back to seal the win for St. Catherine with this free throw. The 26-23 big win gives St. Catherine Academy the national Secondary Schools Female title and we say good show to the Central Division Champion. Of note, Brianna Jex of SCA was voted Most Valuable Player and we say kudos. Meanwhile the Central Division Male Champion, St. John’s College looked to follow the SCA lead after arriving at the finals against San Pedro High School. SJC set the tone in the opening quarter behind the hot hand of Sydney Bradley who would put 11 points up in this one. Dudley Erskine comes up with the steal here and he strikes for 2 of his 11 game pts as SJC takes a 16-12 lead. In the 2nd, Zimmer Perez banks it off the glass for 2 of his 6 pts trying to get his team back in the ball but at the half SJC leads 33 to 18. However, in the 3rd, SJC really opened the gap—Raheem Flowers sinks the triple for SJC. 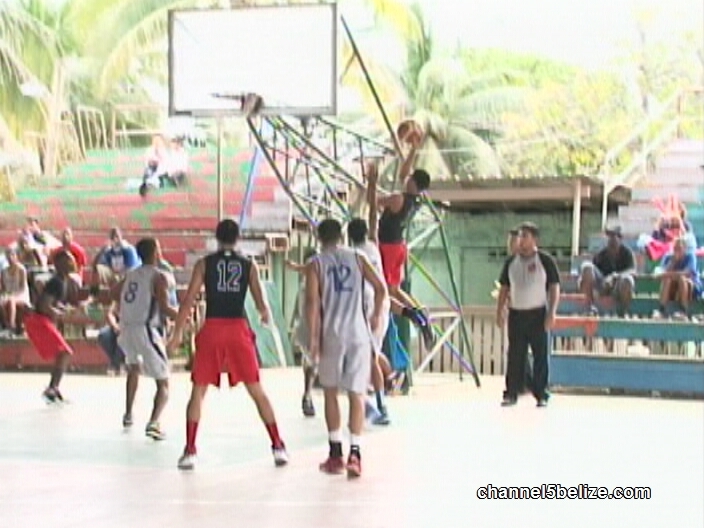 Victor Diego sinks this base line jumper off the glass for San Pedro. Diego comeback to pick up the loose ball and strike for 2 more—would finish with a team high 9 pts. At the end of the 3rd, SJC has extended the lead to 19 points. San Pedro makes a run in the 4th ….Zimmer finds Alfic Black and he gets 2 pts. Aain Zimmer provides—this time to Edwin Caballero who would tally 5 pts. Hey guys, here’s a tip when you see the ladies leaving…it’s all over except for the noise. SJC goes on to post the 53-42 big Win and are National Champion 2014 and the Central Division Champion simply looked awesome. We congratulate Kyle Pitts of SJC who emerged with MVP honors.